Stratosphere Games GmbH | media:net berlinbrandenburg e.V. Stratosphere Games ist eine modernes Entwicklungsstudio für die Entwicklung von mobile Games und seit März 2015 media:net Mitglied. 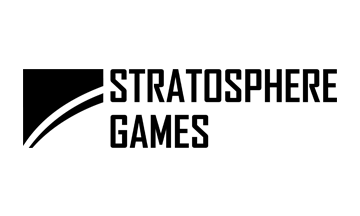 / Stratosphere Games is a modern mobile games development company and media:net member since March 2015. We work with partners all over the world to deliver AAA quality games by an AAA team of game development veterans and incredible talents. We have a strong focus on high-end production value, outstanding multiplayer elements and innovative retention strategies. Based on Data-Driven Design we will deliver Next-Gen Experiences for your Pocket. With our own development architecture known as FRAMEWORK, we develop these top-class free to play games quickly, cost effectively and ready for worldwide publishing.